Cheesy title? Yes. We all roll our eyes at the classic ‘new year, new me’ slogan, but don’t we all have something that we want to change in the new year? The new year is a great time to make changes because, well, it’s new! It’s a fresh start and a chance to change, and I am definitely hoping to grab that by the horns in 2018! So, in the spirit of Dia&co.’s Try-Day Friday, I thought I would share a new outfit with you all, in the hope that it may encourage you to step out of your own fashion comfort zone! I actually got these trousers for Christmas, and I was excited and apprehensive when I originally chose them. I wanted to step out of my comfort zone and wear them with confidence, but I knew that it was a risky choice for me! This flamenco-dancer esq jumper is also a little out of my comfort zone, especially because it’s cropped! But I absolutely adore it, even if it does take a lot of encouragement from my inner self to rock it outside of the house. Another risk for me was this outfit combo itself! 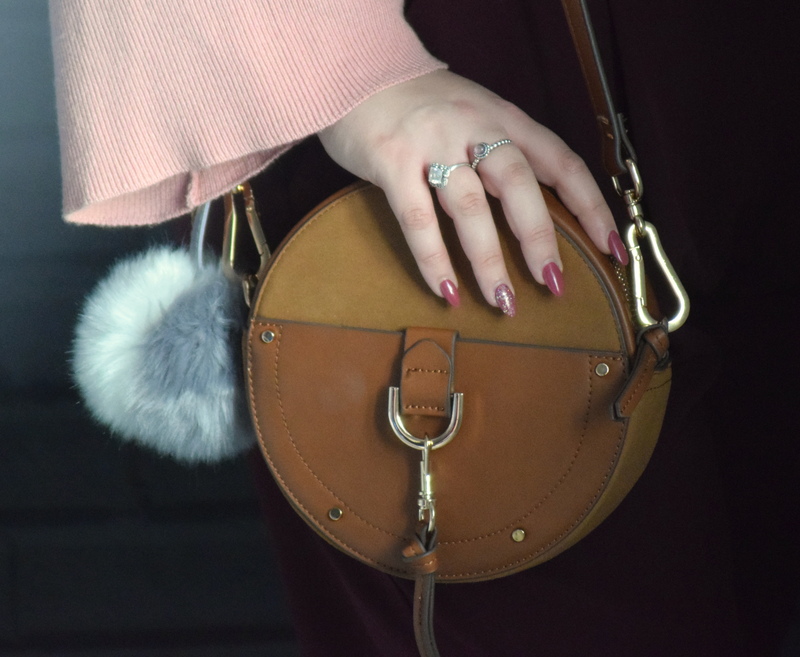 The clashing shades of berry and millennial pink would be a combination that I’d usually shy away from, but it was actually my Nan that convinced me to wear them together! And, I’ve got to say, I absolutely LOVE the end result! Teamed with my trusty Public Desire Boots, this outfit makes me feel classy, sassy and confident all at the same time! Why don’t you have your own Try-Day Friday and step out of your comfort zone? I’d love to see some pictures of your own outfit combinations, and what better day to try something new than on the last Friday of 2017? If you do give it a go, feel free to tag me! This post is not in any way sponsored by or affiliated with Dia&Co. Absolutely loving this look! You look amazing! Stepping out of your comfort zone is a great idea! It will help you grow so much. Happy New Year! You look FAB sweet!! I love those trousers on you!! You look great! I’m trying to get out of my comfort zone with my outfits too, I’m always in black leggings, so I’m testing out different stuff to see what I like! Good on you! Your Nan obviously has killer fashion sense because you look incredible in this outfit!! 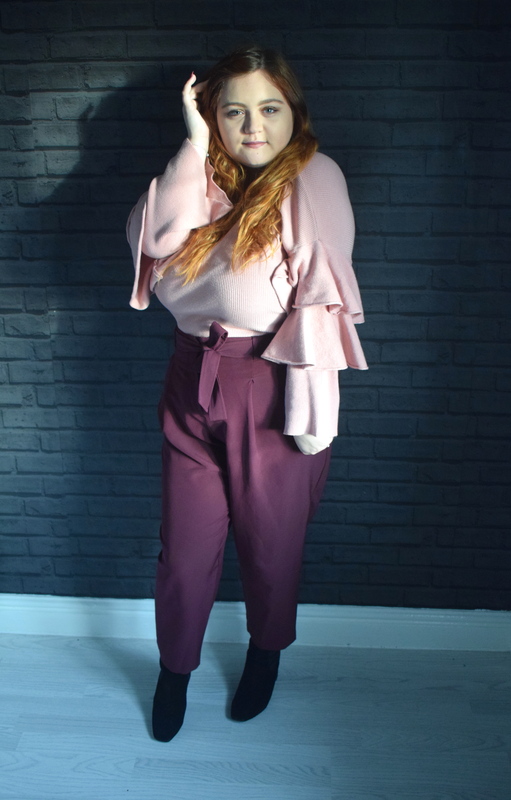 I have a very similar pair of trousers with a tie waist and I absolutely love them – I need to wear them more often and this has given me the kick I needed! The clashing shades actually work together so well, and the sleeves of the top set everything off so beautifully! Looking forward to seeing you push yourself out of your comfort zone with fashion some more – you look stunning! Thank you so so so much lovely ❤️. You rock those trousers!! Wowweeee Hayley you look Incredible! I love the idea of try-day Friday, it has certainly paid off for you – this outfit is the absolute bomb! I love the ruffle sleeves on the top and I’m going to check out Dia & Co as this outfit is lovely! I love the outfit and am so glad you decided to experiment! Previous Post The Greatest Show On Earth? The Greatest Showman Film Review!